The Common Eland is a Savannah antelope found in East and Southern Africa. Compared to most antelope species, the eland is a giant, standing as tall as a horse and weighing nearly a ton. Despite their immense size, they are still very agile and are capable of jumping fences over two metres high. As with all antelope, eland are herd living herbivores; browsing on leaves, berries, bushes and flowers in one area until their water source runs out. Their browsing habits, like those of smaller antelope and giraffe, have helped to shape the form and nature of the plants on the savannah; with many plants evolving elaborate means of defence, ranging from thorns to symbiotic relationships with ants. 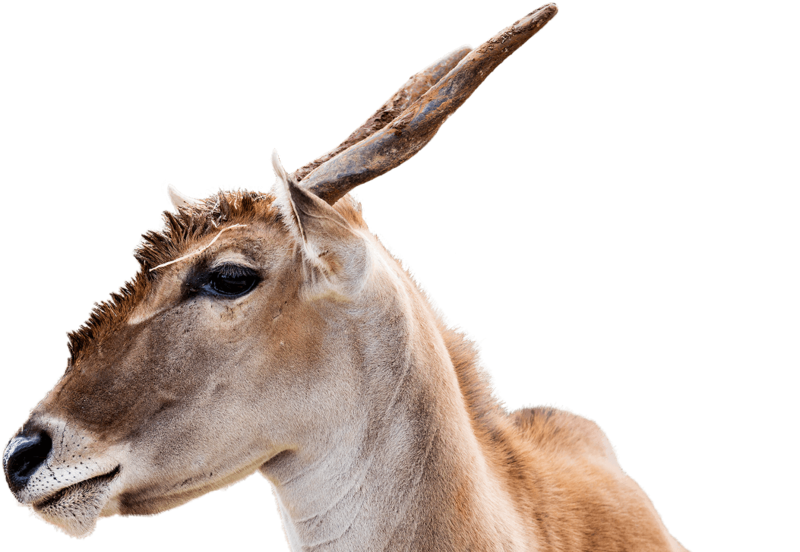 The National Zoo & Aquarium is home to 2 common eland, named Arusha and Mbali.